Change is constant….Technology has dramatically altered the way we work, we buy, we live, we learn! We developed some of the world’s best in class programs and offerings, so you can continue to be passionately curious. IBM issues 1 millionth badge – IBM’s award-winning digital badge program was launched early 2016 with the simple goal of driving interest and increased engagement in training and development activities through the use of verified digital credentials. In June 2018, we awarded our millionth badge!! 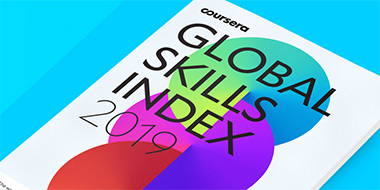 IBM announces badges and new specializations on Coursera– With our partnership with Coursera, not only are we providing you with learning paths to progress your skills, but also, we are making sure you get recognized for your efforts with IBM Open Badges. Buy Digital Learning Subscription together with product – The IBM Digital Learning Subscription for Cloud can now be purchased directly together with your product. IBM partners with edX to offer Professional Certificates – IBM has partnered with edX.org, the leading online learning destination founded by Harvard and MIT, for the delivery of several Professional Certificate programs. Professional Certificate programs are a series of in-demand courses designed to build or advance critical skills for a specific career. How do we skill up the next generation of IT talent? IBM has a plan with New Collar– To create a talent pool for its company and clients’ needs, IBM has developed a unique professional certificate program that provides a way to rapidly develop the skills needed to land a job in information technology. As we wind down the year and you get ready to recharge with family and friends, we’d like to wish you Happy Holidays. We appreciate the fact that you made us a partner in your learning journey and look forward to a wonderful 2019.